The shopping center is adjacent to the Iyara Beach Hotel and Plaza on Koh Samui in the province of Suratthani. The shopping plaza itself has a floor space of over 2,500 m2, and has a number of brands occupying its premises, including NIKE, LACOSTE. 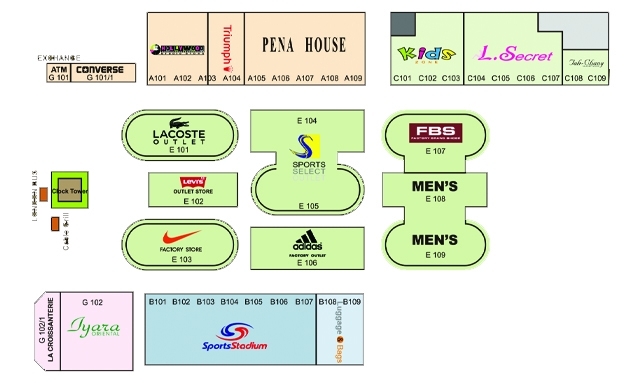 Other brands available here include Levi’s, Adidas, Converse, Reebok, Wacoal and Speedo together with name brand accessories, bags and souvenir products ideal for all ages and genders with discounts up to 70% every day.